Advanced air scrubber and filtration system - designed specifically for poultry houses. Reduces ammonia, odour and dust by up to 90%, whilst supplying temperature-controlled clean, fresh air into the house. Provides reliable heating, cooling and humidity control for poultry houses, livestock and glass houses units. VentMax is an advanced air scrubbing system that can reduce dust, ammonia and odour emissions by up to 90%. By reducing the levels of emissions across your site, you can achieve environmental targets to crucially support planning permissions and EA/NRW approval. VentMax recovers up to 70% of waste heat leaving your building and uses it to heat the incoming air. A ground source heat pump (GeoCube) can then be used to generate the balance, for a reliable, sustainable source of heat. And when you need to reduce shed temperatures, VentMax offers free ambient cooling. For higher capacity demands, heat pump technology can utilise passive and active cooling to supply the ventilation system. 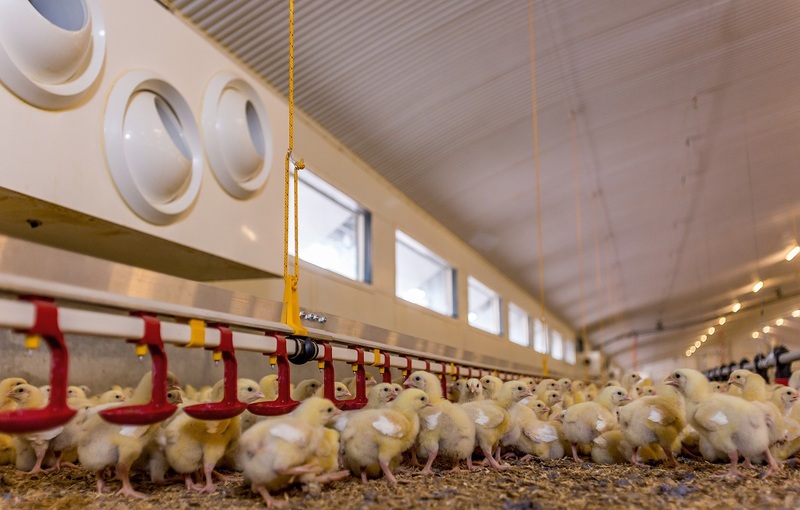 VentMax combines advanced ventilation technology with intelligent controls to manage air pressure, air movement and temperature, for optimum bird comfort and productivity. Designed to be quieter than conventional systems, it ensures a calm, climate-controlled environment for your poultry to thrive. 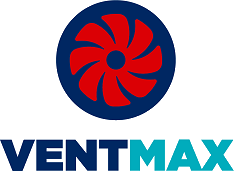 VentMax is a 4-in-1 air scrubber, heating, cooling and ventilation system. The units are designed to reduce emissions from air leaving your poultry house – reducing ammonia, odour and dust emissions by up to 90%. At the same time they deliver efficient heating and cooling, whilst maintaining a calm, temperature-controlled environment. Remove up to 90% of ammonia, odour and dust particles before air is discharged into the atmosphere. Control shed temperatures by +/- 0.5°C to maintain the best shed conditions for optimum bird growth. Recover 70% of exhausted heat from your poultry shed to reheat in-going air. VentMax uses an intelligent climate control system to provide poultry sheds with the optimum level of heating, cooling and humidification depending on the required shed temperature and external ambient conditions and internal zonal conditions. For lower heating and cooling demands it will use heat recovered from exhaust air and free ambient cooling. For higher capacities, VentMax should be integrated with a ground source heat pump (GeoCube) for optimum efficiency. Heat pumps use conventional refrigeration technology to provide cost effective heating and cooling.